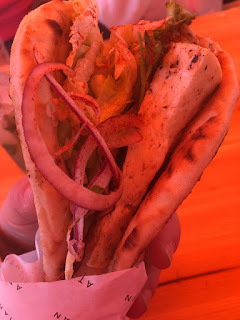 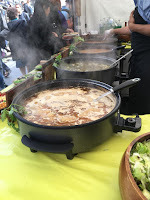 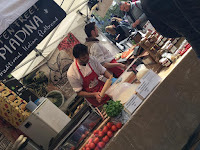 During a recent visit to London we happened upon this most amazing market selling great international street food. I didn't know at the time that this was a regular weekly event and have since been reading up about SC Food Market. 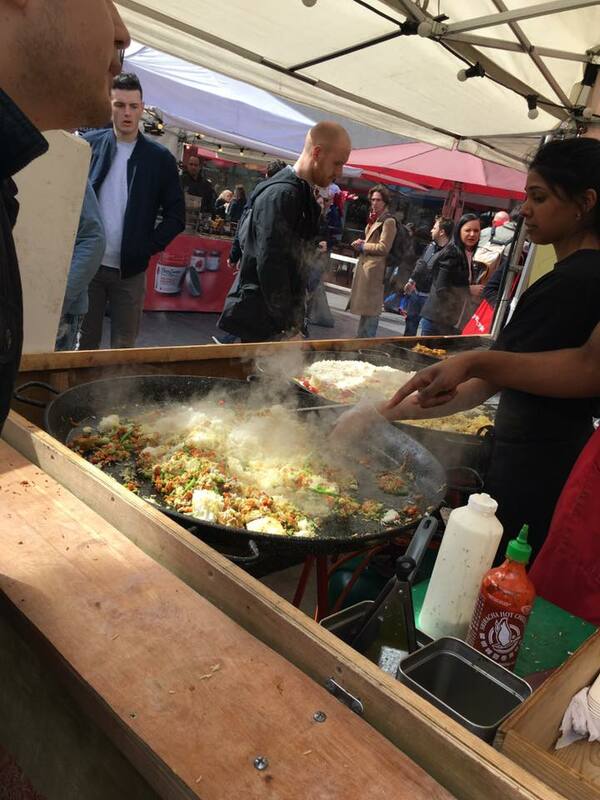 Situated just off Golden Jubilee Bridge and just a few minutes walk from The London Eye the SC Food Market is easily accessible. The food is fresh, colourful and very moreish! 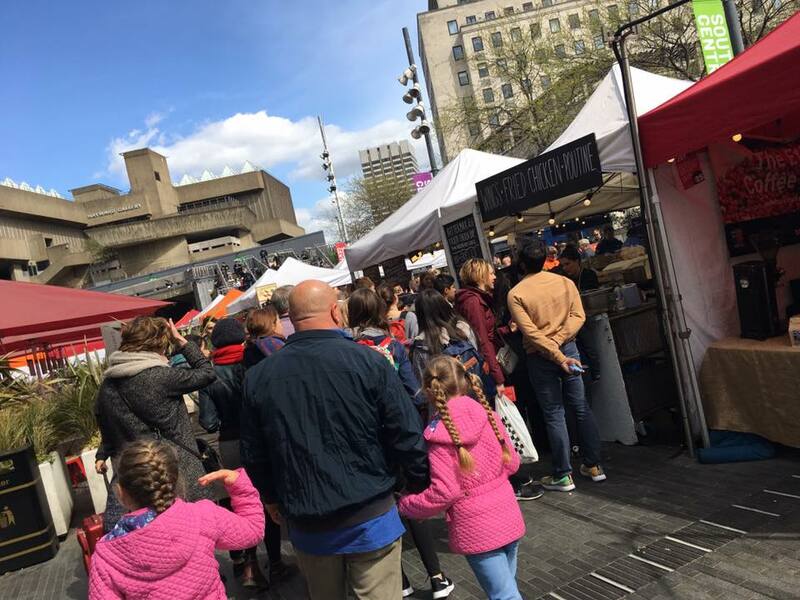 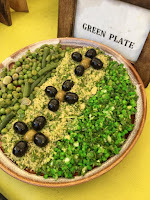 Stalls prepare their foods and drinks fresh each day, bringing vibrancy and tantalising tastes to the public, from small producers to independent traders, foods from home and abroad, there is literally something for everyone here. 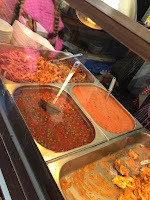 Prices ranged from £2-£8 for most things and portion sizes were larger than I expected. We had a good look round first, starting off with cocktails. Mine was a rather delicious Hedgerow Berry cocktail mixed with Prosecco, from Honestfolk. 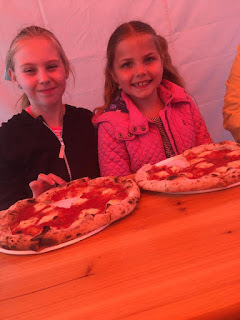 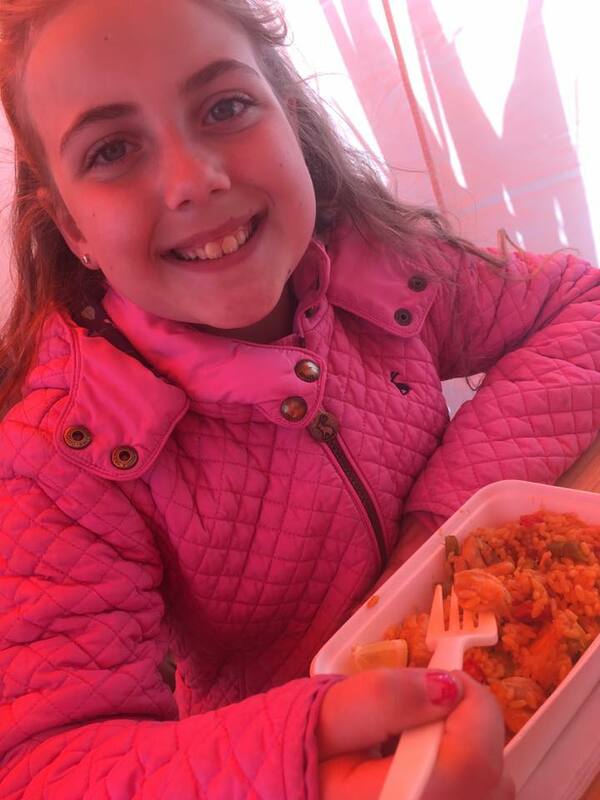 Emily went for traditional Italian wood fired pizza from Dough Bro and Mollie choose Chicken and Chorizo Paella, cooked by Label Anglais. 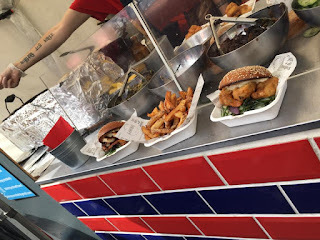 Chris went for a burger from Jacob's Ladder, but he had eaten most of it by the time he walked back to us so no photo! 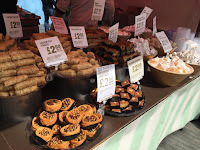 To finish I had Baklava, which was priced at £3 for 2 generous pieces. 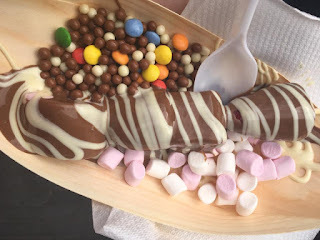 and the girls had fresh fruit and marshmallow kebabs with melted Belgium chocolate and an assortment of toppings!!! There is a limited amount of seating at SC Food Market and we got lucky as we spotted a group leaving and nabbed their table, great when you're with children but most people were happy enough walking round eating. 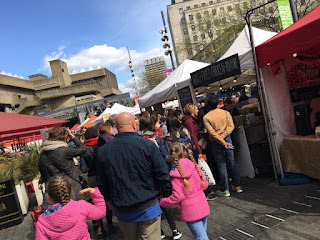 We LOVED the SC Food Market and I have already put it on our "Must Do" when we next visit London! 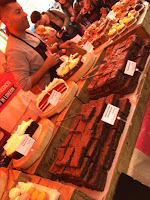 There was a great atmosphere and the place was packed. 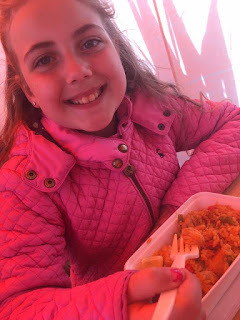 We enjoyed trying the different foods and the girls were keen to sample a few new things too.